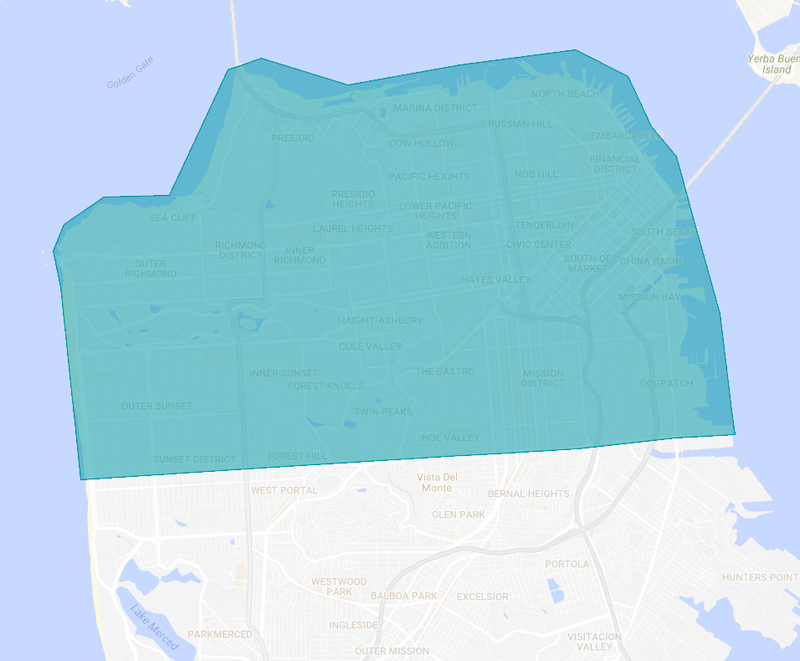 That out-of-the-way, starting in September, San Francisco Uberers will be able to buy a “bulk pack” of UberPOOL rides. Depending on the number of rides you purchase, you can get the per-ride cost down to $2 per ride! Click here to visit Uber and purchase your discounted rides. These pre-purchased rides are not effected by surge pricing and it is a flat rate within the qualifying zone. If you are going to a Giant’s game you won’t have to worry about surge pricing! Another huge piece to this promo, UberX rides are a flat $7, which is a great deal because a Taxi is likely going to cost you $3.50 to go just 1/5th of a mile. Further, this is the Google Map showing the qualifying zone in a bit more detail. This promotion is good from September 1st through September 31st but you can purchase your rides starting today. Purchase a $20 package to lock in flat fares for up to 20 trips or a $30 package to lock in flat fares for up to 40 trips. From weekday to weekends, you’ll only pay $2 on uberPOOL or $7 on uberX when your trip begins and ends north of Cesar Chavez St. in San Francisco. You’re all set. Flat fare pricing is valid September 1 through September 30.